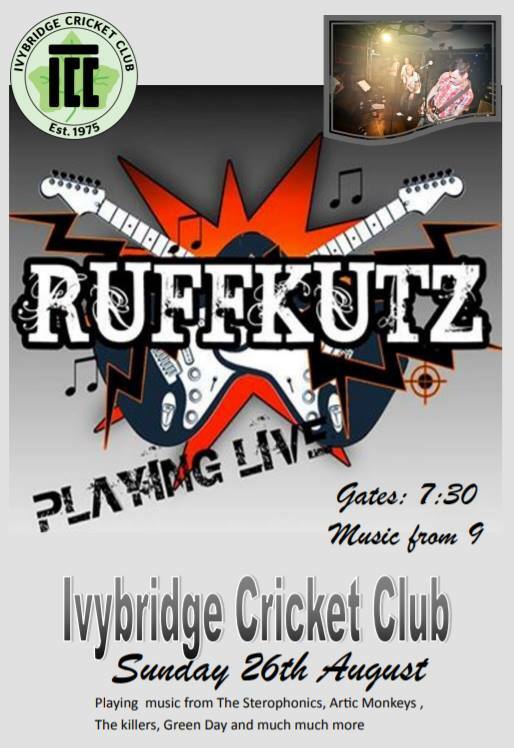 Following the annual Ivybridge Cricket Club 6-a-side tournament, Ruffkutz will be playing live from the balcony. Including covers of songs from Stereophonics, Arctic Monkeys, The Killers, Green Day and many more! Gates open at 7:30pm with music starting from 9pm.